Little Ansel here is actually a bank vole, a tiny species of rodent that is native to mainland Britain. Usually measuring only about 9–11 centimeters long, this curious fellow and his pals usually prefer to live in shrubby forests, but in the face of habitat loss, they can readily adapt and thrive in lush gardens. 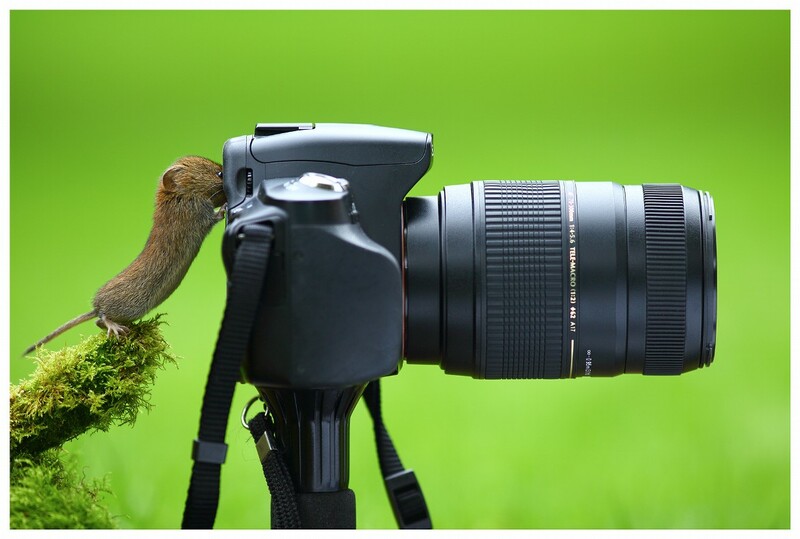 While Simon Roy’s garden voles obviously have no true interest in photography, they do seem to be particularly passionate about thoroughly exploring his gear. Roy created “Evolution” using a Canon EOS 5D Mark III and Canon 300mm f/4 lens set at 1/200 of a second, ISO 400, and f/4.